Bharuchi Vahora Patels who came to Blackburn before 1960 include Adam Isap, Adam Karbhari of Segva, Ali Umarji of Varedia, Ibrahim Isa of Manubar and Mohamed Bagas of Paguthan. Bharuchi Vahora Patels who came during 1961 and 1962 include Abdullah Adam Patel and Vali Chand of Tham; Gulam Natha of Segva; Ahmed Biradar and Gani of Manubar; Abdul Bhikha (Chanchad) of Varedia; Ismail Ola of Manch; Ahmed Khonat, Ismail Ghela, Adam Manya, Gafoor Manya, Muhammad Musa and Vali Dhudhwala of Sitpon; Muhammad of Hinglot; Ibrahim Muhammad of Bambusar; Musa Ibrahim of Zanghar; Ahmed Vanka of Karmad; Ismail Jaliwala of Nabipur; Vali Isap of Dahegam; Adam Ibrahim and Ahmed Sarodia of Pariej; Abdul Master of Paguthan; Ahmed Unchikunchi of Valan; and Muhammad of Chanchvel. Among the Bharuchi Vahora Patel doctors are Muhammad Ibrahim Bux Patel of Ikher and his son Dr Zuber Bux; Muhammad Iqbal Bux and Usman Musa Bux of Bambusar; and Dr Afinwala of Nabipur. Naeemunnisa Babar Bambusari is an optician; Altaf Haji Musa Natha of Segva and Khandaliwala are dentists. Mufti Abdul Hamid is the head teacher and Iqbal Bux of Bambusar is the deputy head teacher of the state funded Tauheedul Islam Girls’ School. There are also accountants, police officers and solicitors among Bharuchi Vahora Patels. Many Bharuchi Vahora Patels have their own businesses. Yakub Khanjara of Manubar runs a wholesale and retail grocery business. Gulam Sheth (Bhikhi) of Sherpura has a cash and carry of building materials. Yakub Golita is a supplier of building and heating materials. There are other cash and carry stores such as Barakat and Raja and sons. Rizwan food store in Altom Street is the oldest Asian grocery store. There are a number of corner shops of Asian and English grocery. There are travel agents and newsagents. Musa Natha and Bashir Segwawala are major building contractors. Some Bharuchi Vahora Patels own chemists and petrol stations. Some are in the catering business. There are rows and rows of ladies fabric shops here like the Uzma Boutique. Some of these are owned by Bharuchi Vahora Patels. These shops are always crowded with local shoppers and fashion lovers from the surrounding towns. Many Bharuchi Vahora Patels are electricians, joiners and plumbers. There are about ten masjids and madrasas under Bharuchi Vahora Patel management. There is a Markaz off London Road which is the Tablighi Dawah Centre for Lancashire. Raza Masjid in Balaclava Street and the Mohaddis-e-Azam Mission run by Dawood Premi of Dayadara also carry out religious services and activities for their members. Darul Uloom Jamiatul-Ilm Wal-Huda of Blackburn provides Islamic education along with GCSE and A-levels under the leadership and guidance of Abdus Samad Manubari, a Bharuchi Vahora Patel Mufti. In 2009, the Darul Uloom achieved 98.3% GCSE results with Maths and English as main subjects, which is well above the national average. The credit for this goes to the Mufti Sahib and his colleagues who have been working very hard with sincerity and devotion. Inspired by Siraj Patel “Paguthanvi”, Late Ibrahim Master Sitponvi and Abdulaziz Zumla, the Tauheedul Islam Girls’ High School was established in Blackburn in 1983. Its founders were Vali Bux of Dayadara, Ismail Master Hingloti, Ibrahim Gisa and Abdul Master of Paguthan. In 2006, it became the first state funded Muslim Girls School of Lancashire. With its excellent GCSE results, Tauheedul Islam Girls’ High School of Blackburn is one of the first 10 outstanding schools in Britain. Misbah Inayat Vali, a student of this school, earned a name for herself and the school in the whole country by obtaining 10 A* grades in her GCSE examination. Bharuchi Vahora Patels are actively involved in Bangor and West Brook House Community Centres. There are various activities for young people. Gujarati and Urdu mushairas are also held there regularly. Shear Brow Community Association was founded in 2010 by Shafi Patel and his colleagues to meet the political and social needs of the community. Muslim Welfare Institute, founded by Maulana Hanif Doodhwala and friends, serves the victims of man-made and natural disasters through relief and rehabilitation work. They implement projects in Albania, Bangladesh and India to improve the overall condition of the people in those countries by utilising the funds collected in the most constructive and wise manner. Musa Patel of Haldarva is a social worker who takes an active interest in numerous charitable activities. He is the President of the Raza Masjid. He does a lot of work in disaster stricken areas by personally going there and distributing goods to the affected people. Saeed Vali Dahegamwala runs a gymnasium and boxing classes for young people. Lord Patel of Blackburn (Adam Ismail Fansiwala) is the most prominent figure in public life. Born in Karmad, Adam Patel graduated from the M S University of Baroda, India. He migrated to Britain in 1965. He founded the Indian Workers’ Association and became an active member of the Labour Party. He worked with Barbara Castle and Jack Straw for a number of years. In recognition of his faithful services to the Labour Party, he was made a peer in 2000 when he took his place in the House of Lords as Lord Patel of Blackburn. He also led the British Hajj Delegation from 2001 to 2010, successfully providing medical and other services to British pilgrims. This remarkable achievement is a matter of great pride for our community. Many Bharuchi Vahora Patels were local councillors in the past, including Arif Vaghat and Imtiaz Patel. At present Suleman Khonat of Sitpon and Muntazir Patel are councillors. Bharuchi Vahora Patels of Blackburn have also made a considerable contribution to Gujarati literature in Britain. Mohammad Dalal “Sagar” Manubari, Dawood “Premi” Dayadarvi and Naheed Randeri have been more or less connected with the Gujarati Writers’ Guild, UK ever since it was formed in 1973 and have taken part in its mushairas and other literary activities. In 1973, as part of the Blackburn Brook House Summer Festival, the first, the biggest and very successful Gujarati mushaira was organised in Troy Street Theatre in association with the Community Relations Council, Blackburn. The theatre was full to its capacity and the event was thoroughly enjoyed by the audience. Later on, when the Troy Street Theatre was closed down by the council, the Blackburn Muslim community, under the leadership of Bharuchi Vahora Patels, bought the building and converted it into a masjid. Babar Bambusari (BA Hons) is the chairman of the Gujarati Writers’ Association, Blackburn and has been single-handedly organising annual Gujarati and Urdu mushairas under its auspices since 1990. He is an executive member of EMDA (Ethnic Minorities Development Association) and has been connected with local mosques and also with Radio Ramadan ever since its inception. In 1971 Siraj Patel “Paguthanvi” was the first Bharuchi Vahora Patel to hold the post of Assistant Community Relations Officer in Blackburn. He and Abdulaziz Zumla, on behalf of Blackburn Borough Council, won the Granada TV Award for an innovative idea to grow Asian vegetables in Britain. 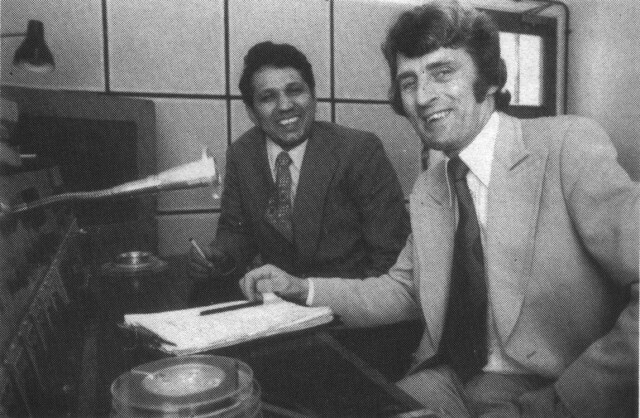 During this period, Siraj Patel also served as presenter and producer of the BBC Radio Lancashire programme Mehfil. Imtiaz Patel of Varedia was the first Bharuchi Vahora Patel to be employed by the Blackburn Museum and Library Service. He founded the South Asian Gallery in the Blackburn Museum, which was the very first gallery of Asian exhibits in Britain. Imtiaz is actively involved in politics. In 2002 he contested the parliamentary election in the Blackburn constituency as a Lib-Dem party candidate against Jack Straw, the then Home Secretary. Imtiaz Patel also represents British institutions in India. In 2004, he met the then President of India Dr A P J Abdul Kalam and discussed with him the potential educational links between Britain and India. In 2003, he made a forceful presentation about the anti-Muslim riots of 2002 in Modi’s Gujarat before the United Nations’ Ethnic Minorities Human Rights Commission in Geneva. He is the officer in charge of the HIV section of NHS Blackburn with Darwen. He regularly tours Bangladesh, India, and Pakistan to increase the awareness of this deadly disease amongst the people of those countries. 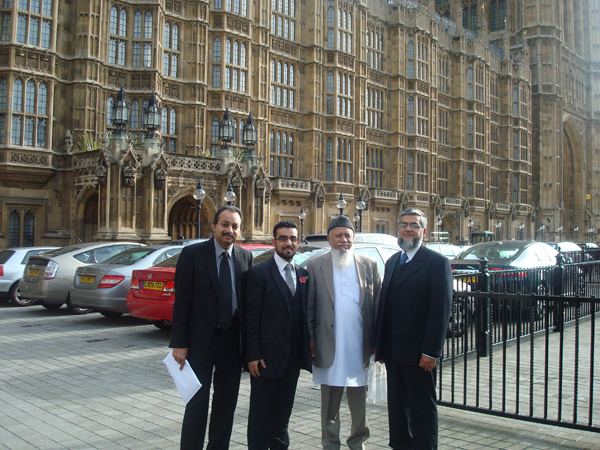 Solicitor Hasan Jiva of Dayadara, Arif Valanwala, son of Babar Bambusari Muhammad Raihan and Saeed Doodha of Pariej run the Ummah television channel, which is viewed in 169 countries. Besides religious programmes, the channel also broadcasts some interesting programmes covering the health, political and social issues affecting the Muslim community. Salim Sabri of Segva is a well-known qawwali singer. His Zum Zum album of Sufi songs, which he composed with Ustad Zohar Ali Khan of Patiyala, Gharana has become very popular. Siraj Ahmed Segvawala is a prominent barrister working with the reputed legal firm Forbes and Partners. Gujarati journalism in Britain started from Blackburn. In March 1968, Siraj Patel “Paguthanvi” and Abdullah Munshi published a fortnightly magazine called Vismee Sadee (Twentieth Century). It was composed in Surat, India and its 1,000 copies were printed in Darwen near Blackburn. They brought out six issues of the magazine under difficult circumstances and, as they did not have Gujarati composition and printing facilities of their own here in Britain, the enterprise had soon to be wound up.